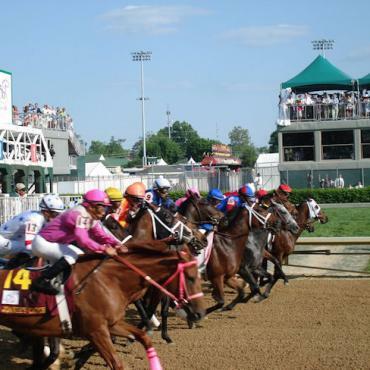 From the rolling bluegrass-covered hills of legendary Horse Country and the grandstands of America’s most storied thoroughbred racing tracks; to the Kentucky Bourbon Trail, one-of-a kind attractions and world-renowned outdoor adventure, there's something for everyone in the Bluegrass State. Kentucky is the birthplace of Bluegrass Music and home to dozens of music stars like The Judds, Dwight Yoakam, Billy Ray Cyrus, Loretta Lynn and Ricky Skaggs. 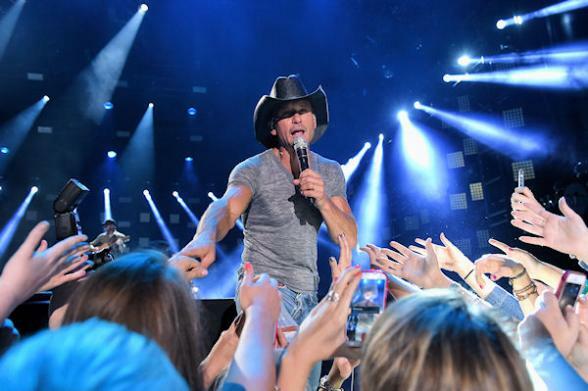 Take a ride down the Country Music Highway and you'll quickly realize that this entire region is steeped in cultural and musical history, celebrating the musical talents of people you’ve heard on the car radio for generations. 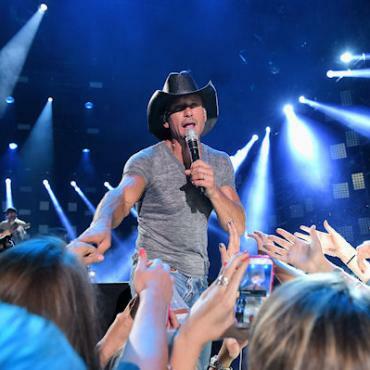 The Country Music Highway is not only about country music. You’ll also learn about Native Americans, pioneers, the Civil War and the coal mining industry. The story of Eastern Kentucky has been influenced by those who, early on in the nation’s history, began searching for land west of the Appalachian Mountains. Not long thereafter, as a result of being a border state between the North and South, sections of the area became battlegrounds for the Civil War. 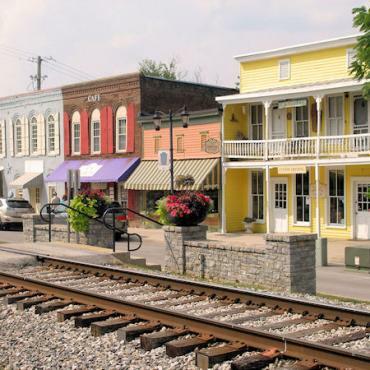 Combine Kentucky with the birthplace of Country Music, Tennessee, and a train journey through the cotton fields of Mississippi to New Orleans, and you've got yourself a unbeatable Deep South adventure. Your flight into Cincinnati, Ohio will arrive early afternoon and it's just over an hour's drive to the start of your Kentucky holiday experience in Lexington. During your time in this interesting Northern Kentucky town be sure to visit the Kentucky Horse Park, home to many breeds of horses, the park will introduce you to the world of the horse, an important part of the Kentucky heritage. Also be sure to check out Keeneland a Thoroughbred horse racing facility which was designated a National Historic Landmark in 1986. Here you can meet jockeys, horse owners and enjoy a meal in the Keenland Track Kitchen. If you enjoy Bourbon then visit the Town Branch Distillery - part of the Kentucky Bourbon Trail - for a tasting session. 95% of the world's Bourbon is produced in Kentucky and there are more barrels of aging Bourbon at any given time in the state of Kentucky than there are residents. It's a short drive today to your next Kentucky stop, Louisville, but take the day and do it a leisurely pace. Stop off en route at Midway, an original Railway town. 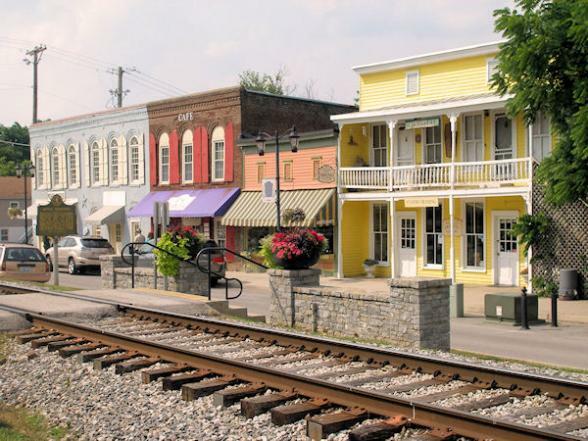 Many of the homes and businesses in Midway are on the National Register of Historic Places making it a delight to stroll around. Another worthwhile stop is The Woodford Reserve Distillery. 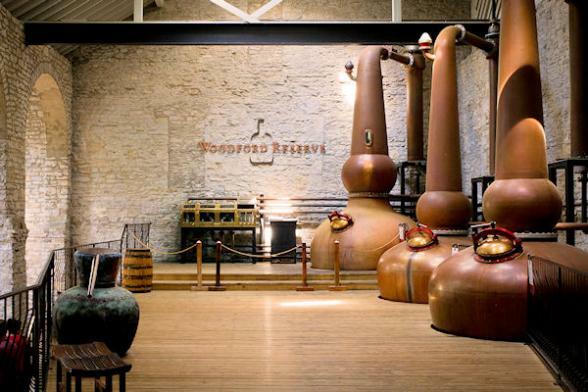 It's the oldest and smallest distillery in Kentucky dating back to 1797 when Elijah Pepper began distilling in Woodford County. 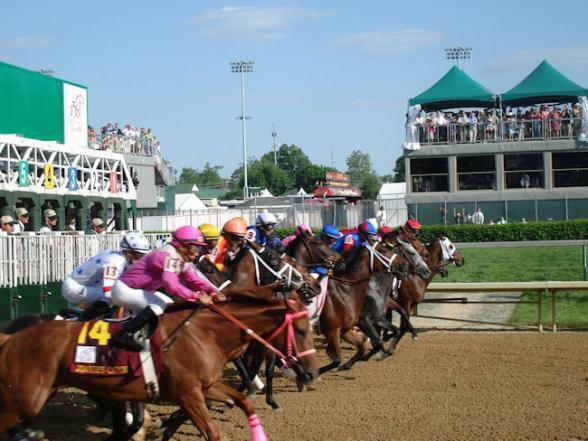 Woodford Reserve also happens to be the official Bourbon of the Kentucky Derby. 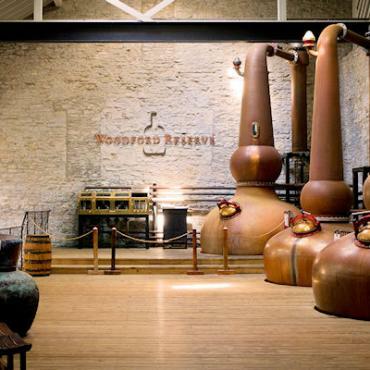 Enjoy the tour and sample the Bourbon. Once in Louisville, must-dos are the Kentucky Derby Museum and the Muhammad Ali Centre. This museum honours the world-champion heavyweight boxer and his values. The Louisville Slugger Museum and Factory, home of the world's biggest baseball bat is well worth a visit as is the Evan Williams Bourbon Experience located on Louisville's historic Whiskey Row. Today you are off to Bowling Green, but we'd suggest a slight detour to charming Bardstown, voted The Most Beautiful Small Town in America. Stroll around this delightful town, stop for coffee in a street cafe and mooch around the eclectic offering of shops. Another absolute must-do in this region is Mammoth Cave National Park. This is the world's longest known cave system, with more than 400 miles explored. Early guide Stephen Bishop called the cave "a grand, gloomy and peculiar place" but its vast chambers and complex labyrinths have earned its name - Mammoth. Daily tours are available of this eerie place. Camping is also available in this area, if you'd like to extend your holiday and get back to nature. 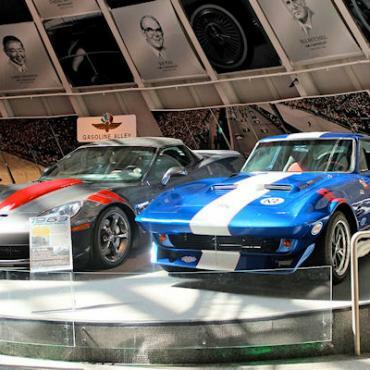 Bowling Green is the home to the Corvette Assembly Plant and National Corvette Museum. 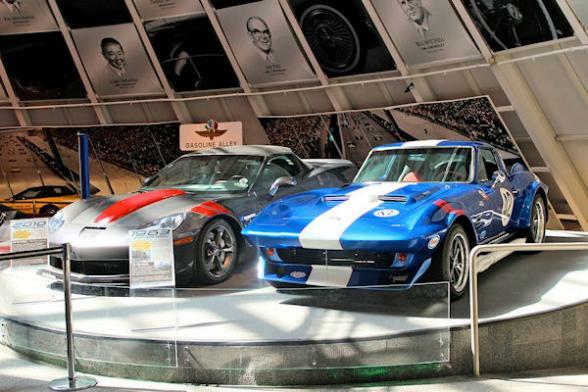 Stroll around the museum and view the 70 Corvettes on show. You'll see classics in mint condition, one-of-a-kind prototypes that never went onto production, racetrack champions, and modern-day wonders of engineering and design. 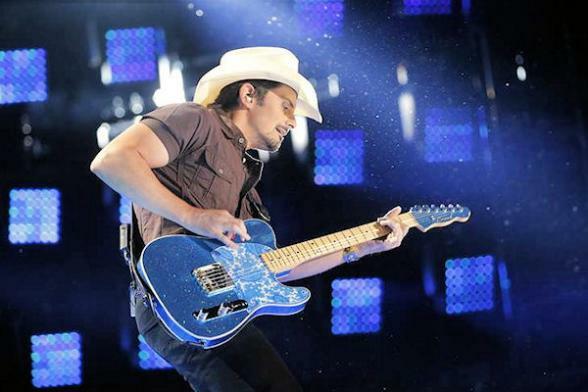 Leave Kentucky, the Bluegrass State behind and cross the border into Tennessee, the home of Country Music. 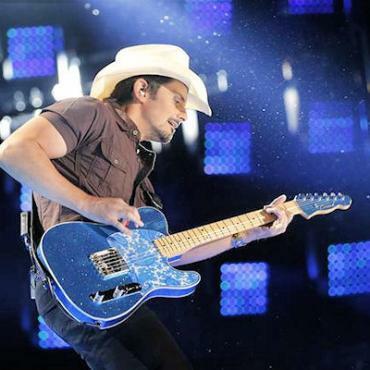 To make the most out of your Nashville stay we've included a Nashville Music City Passport that includes admission to the Country Music Hall of Fame and Museum, Studio B Tour, Ryman Auditorium Tour, Grand Ole Opry Backstage Tour and Performance (Tues, Fri, Sat only). On your drive from Nashville to Memphis today, we'd recommend two stops. 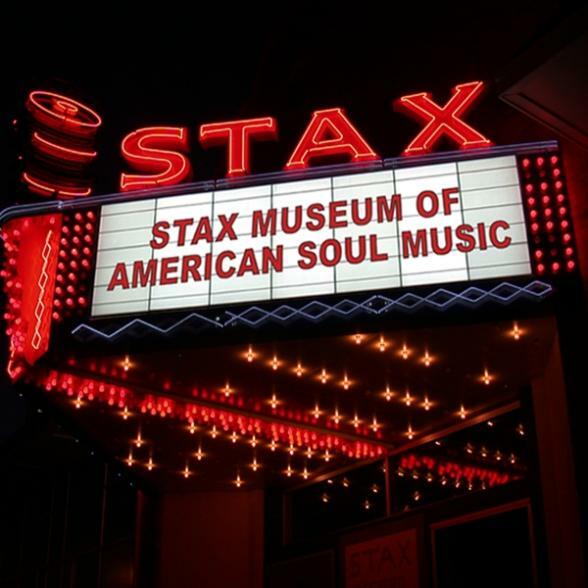 The first is Nutbush - home to the one-and-only Ms. Tina Turner. Then it is on to Henning - where Alex Haley, author of Roots lived with his grandparents in a 10-room bungalow. Today you can amble around the Alex Haley Museum which features childhood memorabilia and references to the people who inspired his characters in the Pulitzer Prize winning novel. 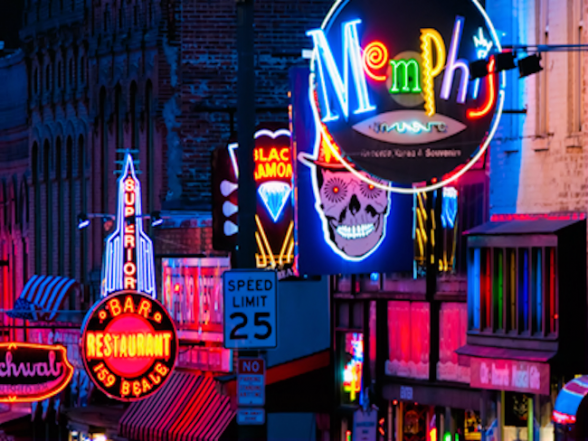 To make the most of your two night stay in Memphis we've included the Memphis Music Passport which includes admission to Graceland, Sun Studios, Stax Museum and the Rock 'N' Soul Museum. 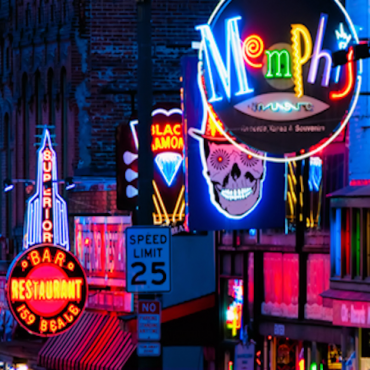 Leave your car in Memphis today and board the City of New Orleans train to your final destination, The Big Easy. Journey through the cotton fields of the state of Mississippi before you pull into New Orleans early afternoon. This city is one of the most walkable in the USA, so enjoy some time just strolling around. During your three nights here we've included an excursion to one of the most famous and impressive plantation homes on the Mississippi, Oak Alley and a Jazz cruise along the Mississippi. 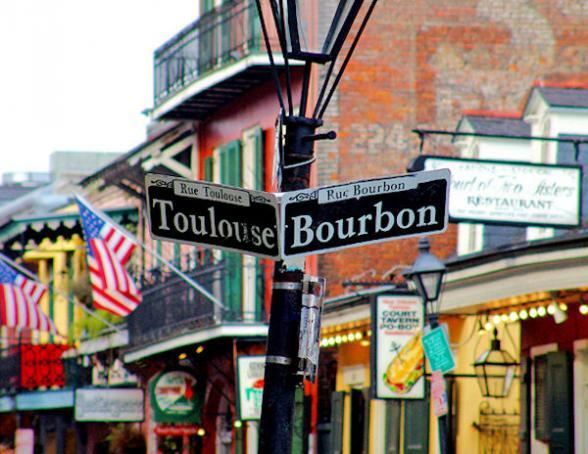 We'd also be delighted to offer suggestions for other New Orleans attractions such as the New Orleans School of Cookery, Voodoo and Ghost Tours, walking tours of the historic French Quarter and many more. Depart New Orleans for home. However, you may decide to extend your stay and spend a few more days enjoying Nashville or New Orleans or perhaps you may wish to travel to Florida and relax on it's beaches before heading back to the UK. 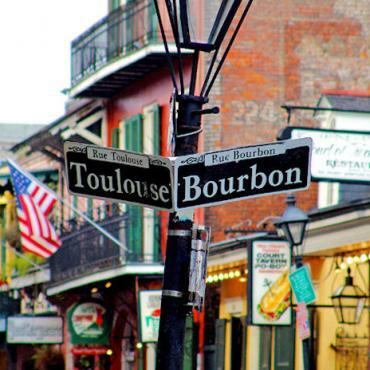 Call the USA travel specialists at Bon Voyage to discuss your perfect Kentucky, Tennessee and The Big Easy adventure.